Is IDW’s Sonic the Hedgehog comic in trouble before it even begins? 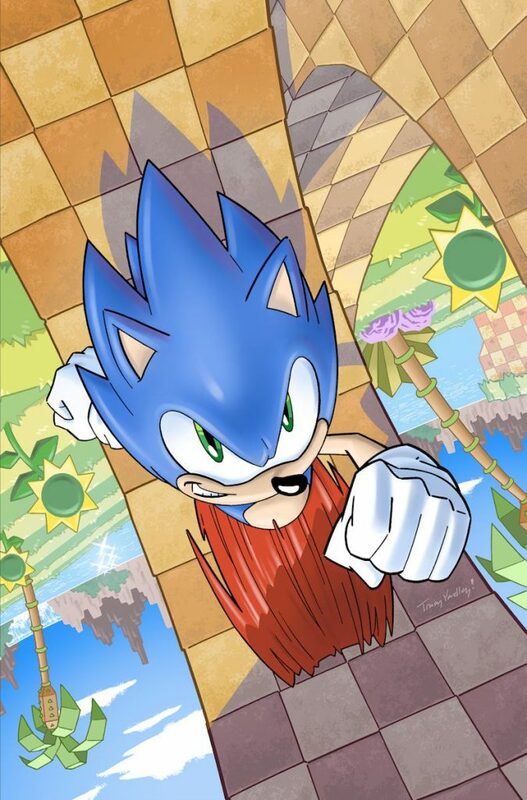 After publishing with Archie Comics since 1992, the Sonic the Hedgehog comic book line is finally set to relaunch next month under a new licensee, IDW. However, will this move prove to be a lucrative one for SEGA, or did the Sonic franchise just jump on board a sinking ship? The comic book industry as a whole is suffering from an industry-wide downturn for the last several years. DC Comics has shown some sparks of life following their soft relaunch event titled “Rebirth” in 2016, a move that Marvel Comics appears eager to duplicate with their “Fresh Start” event later this year. However, IDW’s financial future looks to be particularly bleak when compared to its competitors. While it’s true that IDW is indeed a smaller publisher than both DC and Marvel, IDW still does not currently have a single comic book title showing in the top 100 comics sold to stores. Their best-selling book, the Teenage Mutant Ninja Turtles ongoing series, sold barely over ten thousand print copies in February. Factor in IDW’s most recent reports for the last fiscal year in which the publisher lost 400% of operational income year-to-year, and there may be legitimate reason to worry. IDW doesn’t show many signs of stability on the corporate side either. PR manager Steven Scott left the company in early March following a series of public relations missteps. 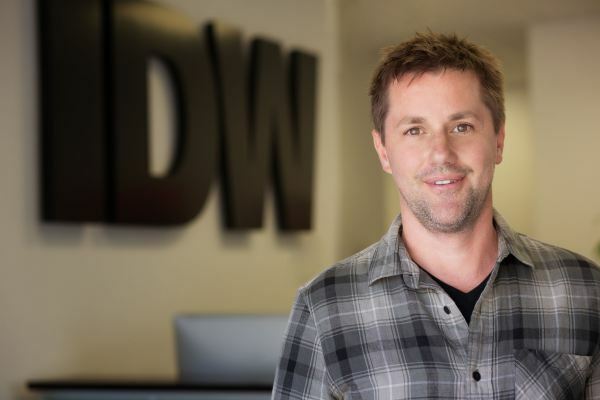 The same week, IDW chief creative officer and editor-in-chief Chris Ryall announced that he is leaving the company after 14 years. It stands to reason that this is due to the above loss of revenue. However, there is some speculation that Ryall’s exit is also due to IDW’s mismanagement of the G.I. Joe brand, the circumstances of which may very well have cost IDW a renewal deal for all of Hasbro’s licensed properties when their licensing agreement expires at the end of 2018. This would mean IDW risks losing some of its longest-running licenses including Transformers and My Little Pony, as Hasbro licenses all of its properties out as a single package. IDW still retains the licenses for other successful brands such as SpongeBob Squarepants and Ninja Turtles, they could certainly look to investors to help buoy their struggling brand, and their new agreement with SEGA certainly won’t hurt, either. But if IDW is not able to demonstrate marked improvements in profitability and they start losing some of their longest-running license agreements, soliciting new investors is going to be a hard sell. Certainly SEGA seems confident that IDW was the best home for their new Sonic comic line or they never would have inked the licensing deal. However, one may wonder if there is still some institutional memory at SEGA from the Dreamcast era for recognizing a lost cause. If things continue to go poorly at IDW, will SEGA bail out, or will Sonic go down with the ship? IDW’s new Sonic the Hedgehog series launches in April. Richard C. Meyer did nothing wrong. Having grown up with a SEGA Master System, The Requiem has been a lifelong SEGA fan. Favorite SEGA games include: Gunstar Heroes, Shinobi III, the House of the Dead: Overkill, Jet Set Radio, & Alex Kidd in Miracle World. Other game favorites include: Super Metroid (SNES), Tempest 2000 (Atari Jaguar), Mortal Kombat (Arcade) and Superbrothers: Sword and Sworcery (iOS). The Requiem exists digitally as @UnboundRequiem on Twitter. Face-Off: Is the SEGA Dreamcast still worth collecting?